By now you all know that Vincenzo Cantiello won Junior Eurovision 2014. But you may not know that ahead of the final the Junior Eurovision press corps, who followed rehearsals closely from the building throughout the week, voted for their favourites too. This time Vincenzo had to settle for second, as Bulgaria’s Krisia Todorova and Hasan & Ibrahim won with the press in a landslide. You can see the full results of the press vote below. Bulgaria, who finished second in the actual final, won by a whopping 71 points. The press corps seems rather good at predicting the top and bottom of the standings. The journalists ranked Bulgaria, Italy and Malta in the Top 4, forgetting only Armenia (she came third on the night, but only 10th with the press). The press also correctly predicted the bottom four — and in the right order. 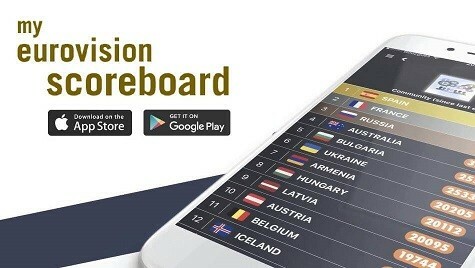 Sweden, Montenegro, San Marino and Croatia finished in 13th, 14th, 15th and 16th positions. What do you think of the results below? The real winners won the hearts of million people around the world. The Bulgarian song is in top 100 popular songs on you tube already with millions watch, who can say where is the winner? Anemic? Are you crazy? Krisa made everyone shiver.. She deserved to be winner! Italy had the best song and the best performance. Bulgarian performance was anemic. In this way, you can not win the Eurovision. Dear bavarson, Italy won but I can’t stop wondering why. I listen to the song and it was so much screaming, it could not live up to the Bulgarian song in set up or performance. I think it’s a mere accident. I am so happy that first place was given to Krisia,Hasan and Ibrahim!!! They are the true winners!! Belarus and Slovenia are so underrated! But other than that those results seem pretty fair, closer to what I predicted anyways. I agree, this is the real ranking !!!! No tak to jest pravdivo glasuvane ! Tova e istinata ! Erin read my thoughts! Absolutely right in case of Krisia, Hasan and Ibrahim song. For me it was clear from the start their song would be a winner. Italy won and that’s all. Other awards are totally meaningless. Can somebody tell us why Ula is so bad placed? First top three is good with the only exception that Malta should be the second one and Italy the third one. All the childrens are winners for me! This is the real ranking!!!!!! !